The montage of Stories of Children by Letizia Galli is enriched with a new piece of great significance – the publication of the first of the “Stories of Children Zoom” Notebooks, which collates the contributions of the conference hosted in the Salone Poccetti of the Istituto degli Innocenti on 7th April 2017 in Florence. 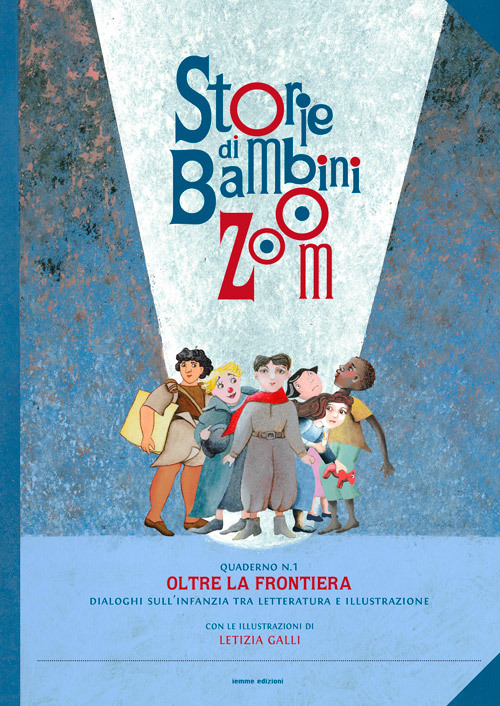 The book, enriched by the illustrations and cover by Letizia Galli, is entitled “Oltre la Frontiera. Dialoghi sull’infanzia tra letteratura e illustrazione” and is published by the Naples publishing house Iemme and edited by Donatella Trotta, with a preface by Elena Pasoli, introduction by the curator and contributions from Anna Maria Bertazzoni, Janine Kotwica, Pino Boero, Walter Fochesato, Letizia Galli, Antonella Vincenzi, Carme Solé Vendrell, Emilio Varrà, Giusi Quarenghi and Silvana Sola, amongst others. The book also includes the last public testimony of Carla Poesio, published posthumously, which will be the focus of a commemorative event scheduled at the Bologna Children’s Book Fair on Wednesday, 28th March (Sala Bolero, Block B of the Service Centre), entitled: “Carla Poesio. A woman of passion – Study, interpret, write children’s books. The Notebook No. 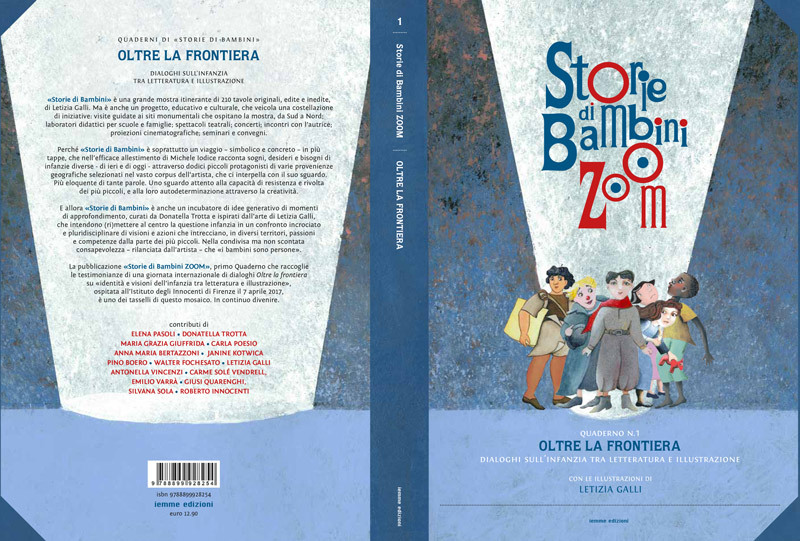 1 of Stories of Children, Oltre la frontiera (Beyond the Border) will be available in bookshops and online bookstores from 31st March 2018. It will be presented for the first time in Venice, on the occasion of the “Children and Art” conference scheduled for 24th and 25th March at the Children’s Provincial Institute of Santa Maria della Pietà and then in Bologna from 26th to 29th March, on the occasion of the International Children’s Book Fair, at the Andersen magazine stand.